One of the artefacts that was closely looked at was the fascinating clay lamps. 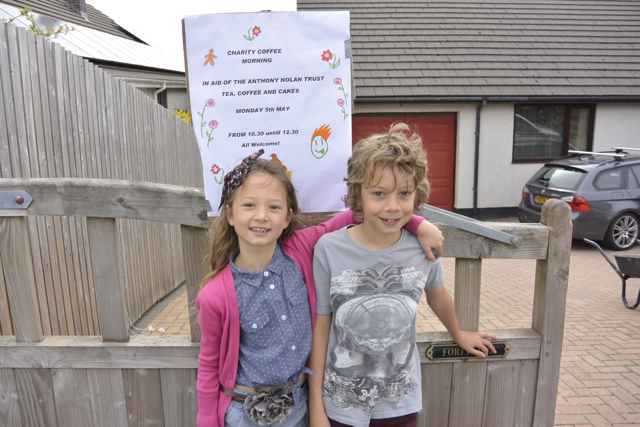 The children were then able to design and make one of their very own! 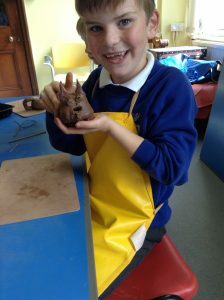 Children moulded the clay into a standard Roman clay lamp and then transformed them into an animal. It was a very interesting, fun (and slightly messy) day. This entry was posted in Class 6, Class 7, Class 8 on September 27, 2017 by bosvigo. 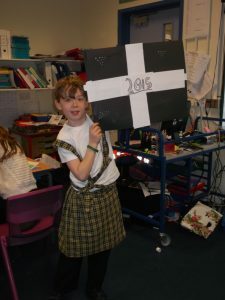 LKS2 celebrate Saint Piran's Day! 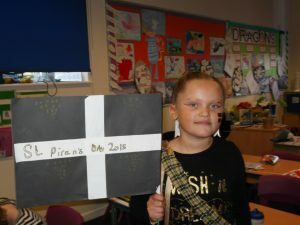 What were you doing on Saint Piran’s Day? 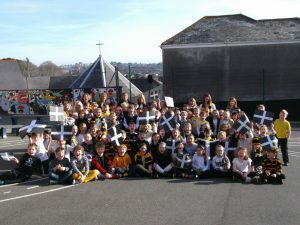 Bosvigo School children dressed up in black, white, yellow and gold to celebrate Cornwall’s patron saint. Lower Key Stage 2 started the day by singing Broder Jakka (Brother Jack) and Myten Da (Good Morning) in Cornish! 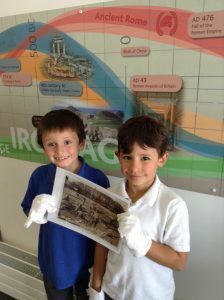 We then created Kernow cards and flags and shared these with our families and the whole of Truro. We kept on celebrating, as the kitchen staff had prepared a Cornish lunch of mini pasties and special apple cake dessert. Delicious! As we arrived at High Cross (the ancient, granite, Celtic cross) outside the Cathedral, we were amazed when we realised how many other schools had joined in. After listening to the Grand Bard and our Member of Parliament, it was time to enjoy a re-enactment of the legend of Saint Piran and Cornish country dancing. Finally, we all sang Trelawney together and gave one last cheer for Saint Piran. Kernow bys vyken! This entry was posted in Class 6, Class 7, Class 8, Uncategorized on March 11, 2015 by bosvigo. 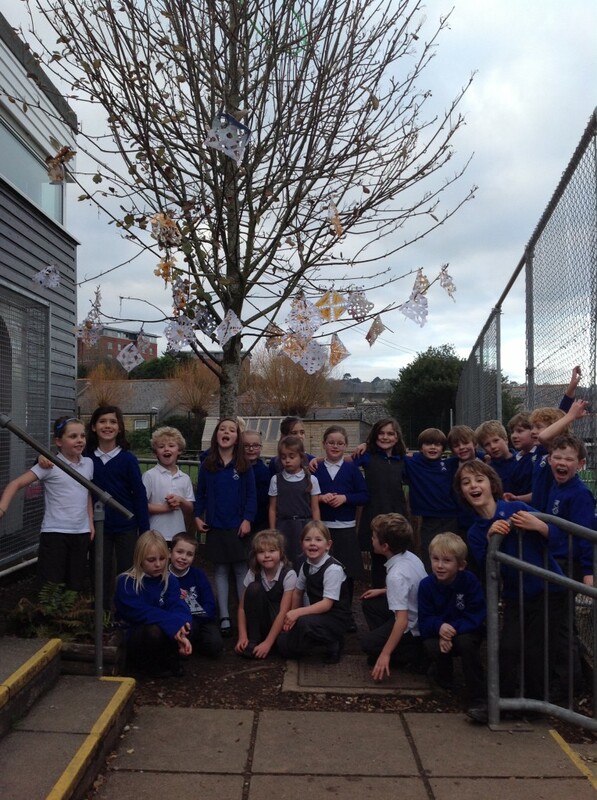 On Monday and Tuesday, Class 6, 7 and 8 celebrated Tree Dressing Day. First, we learnt about the story behind this celebration which derived from India. The story told us that in the 17th Century, the Bishnoi people tried to protect a sacred tree – only to be killed by the Prince’s men who wanted the wood to build the Prince’s palace! We celebrated the brave Bishnoi people and trees by creating environmentally friendly decorations for the trees in the school grounds. We used scrap paper and painted with pigments made from Turmeric and Paprika from the LKS2 Art Day. 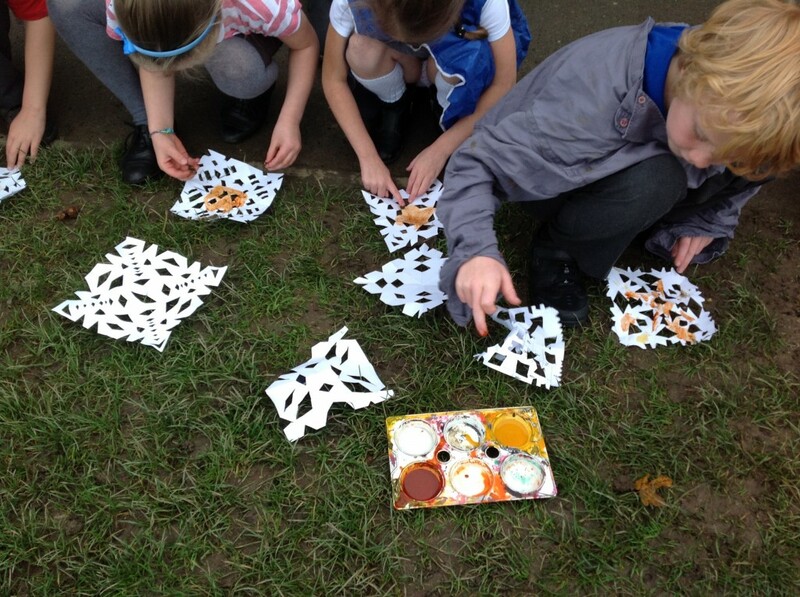 Here are some pictures of our eye-catching snowflakes before they floated away after a stormy night! This entry was posted in Class 6, Class 7, Class 8, Uncategorized on December 3, 2014 by bosvigo. Have you ever wondered what it would be like to live in the Iron Age? 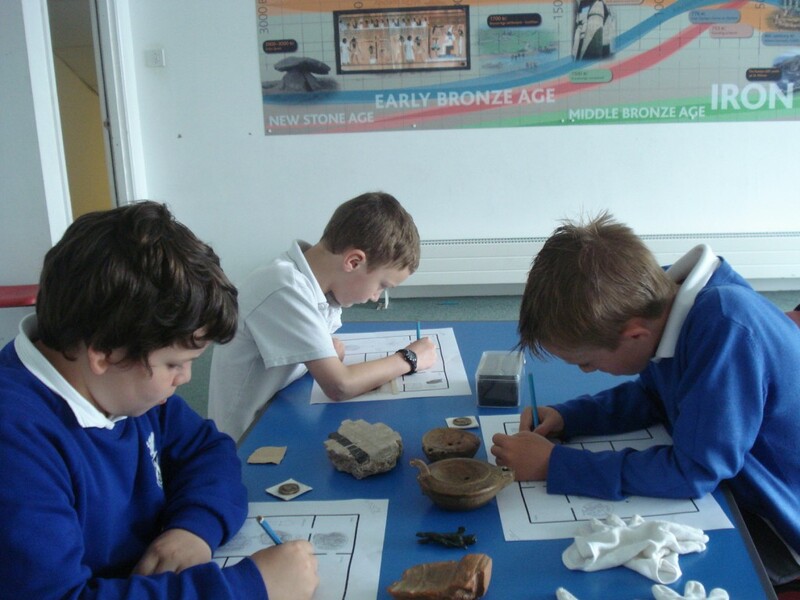 LKS2 travelled back in time to Carn Euny which is the site of an ancient Iron Age settlement. At first, all we could see were the remains of ruined walls, but as we explored we discovered evidence of life thousands of years ago. Our favourite activities were invading and defending the hill fort, and trying to work out what the fogou was used for. When I got off the coach, I walked to the hill fort and we played scary attackers and defenders. We then walked in a circle through tall grass around the hill fort. After that we walked and walked and walked until we got to some fun mud and more mud! Eventually we saw a very old cottage and when we walked on we saw stones – we had reached Carn Euny. First, we went into the fogou and it looked like a creepy dungeon. One tunnel was small and thin, the other was giant and had a big puddle – I went right through it. It was fun! Jack and I went exploring Carn Euny. There were little hills and walls everywhere. We thought that we had found the bedroom in one of the houses. It was very uncomfortable because the bed was made out of stone! After that we walked back to the coach. We went through the mud again, down the hill, onto the road and finally onto the coach. I liked going to Carn Euny. It was fun but I would not want to live there because it would be a hard life. This entry was posted in Class 6, Class 7, Class 8, Uncategorized on October 22, 2014 by bosvigo. Why is Truro Cathedral a special place? 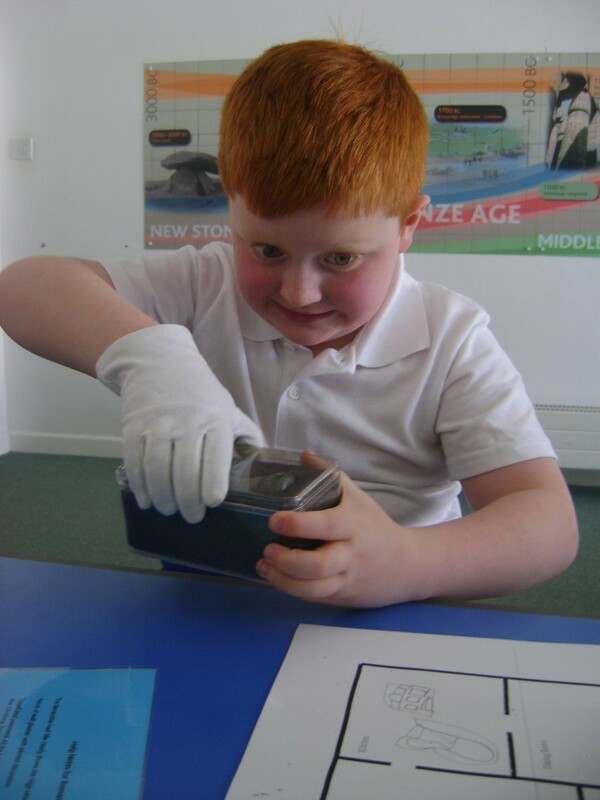 All the children in Lower Key Stage Two can now tell you why! This week, Classes 6, 7 and 8 visited the cathedral and explored parts of the building which are usually closed to the public. We learnt all about religious life when we visited the crypt, and role-played our own baptism and procession. The highlights of our tour were singing in the choir stalls and enjoying a reflective moment at the High Altar. We’re now really ready to start planning our whole school Christmas service which will be held in the cathedral on Monday, 8th December. 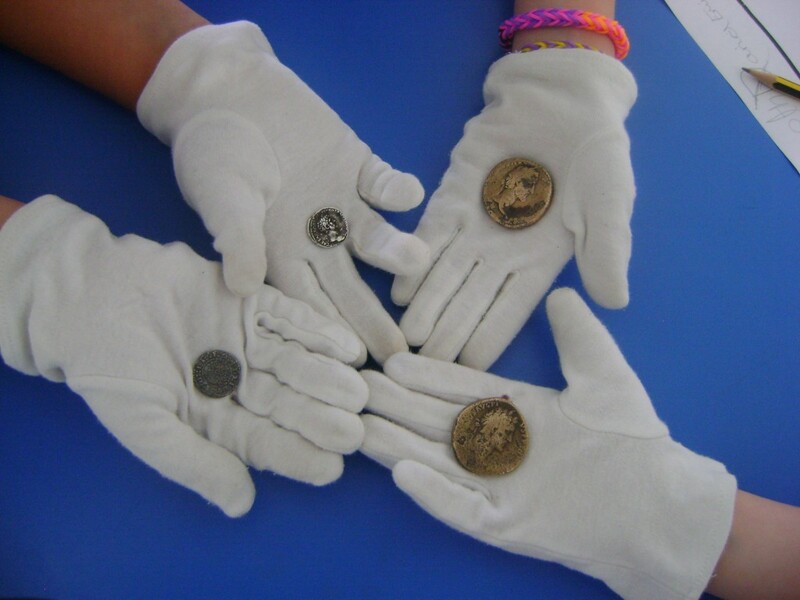 This term, LKS2 are studying the Romans and so to start the topic with an exciting event, Class 6, 7 and 8 visited the RCM for a workshop about Roman Life. At the Museum we went to the ‘Secret Room Upstairs’ where we were allowed to touch and handle some Roman artefacts, some of them over 2000 years old. 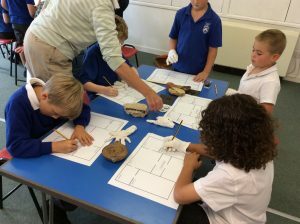 The artefacts were arranged according to the rooms they would have been found in a typical Roman Villa and we had to be history detectives in order to decide which room they belonged to. 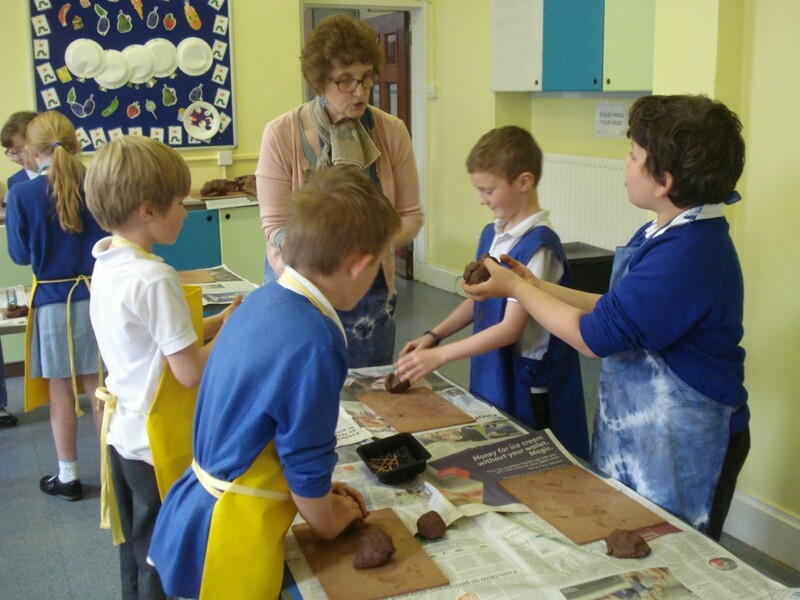 We studied the oil lamps that were used by the Romans and then we designed and made our own using clay. Some of us made cat lamps, dragon lamps, mouse lamps and even guinea pig lamps! Many thanks to all the parents and carers who helped make these visits such a success. This entry was posted in Class 6, Class 7, Class 8, Uncategorized on May 9, 2014 by bosvigo. 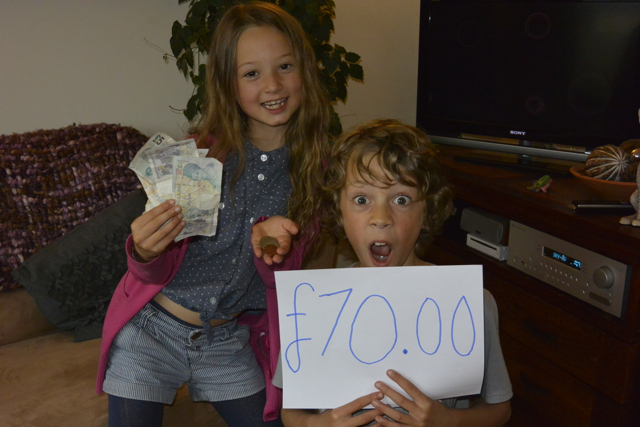 Ben and Lucy have a friend who has just had a bone marrow transplant so they wanted to raise some money for the Anthony Nolan Trust. 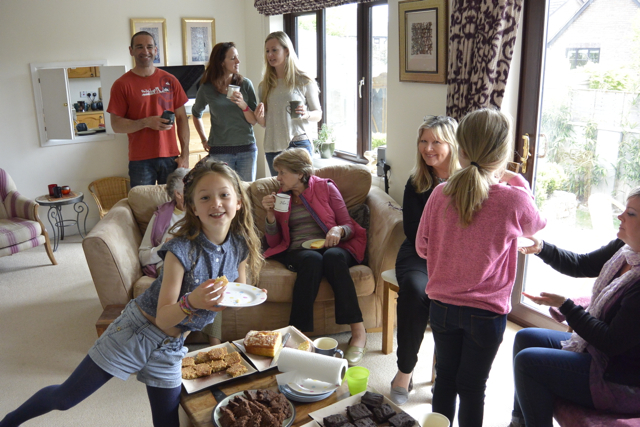 They held a coffee morning at their house on Bank Holiday Monday and raised a fantastic £70. This entry was posted in Class 6, Class 8, Uncategorized on May 6, 2014 by bosvigo. Congratulations to our U9 LKS2 Netball squad! 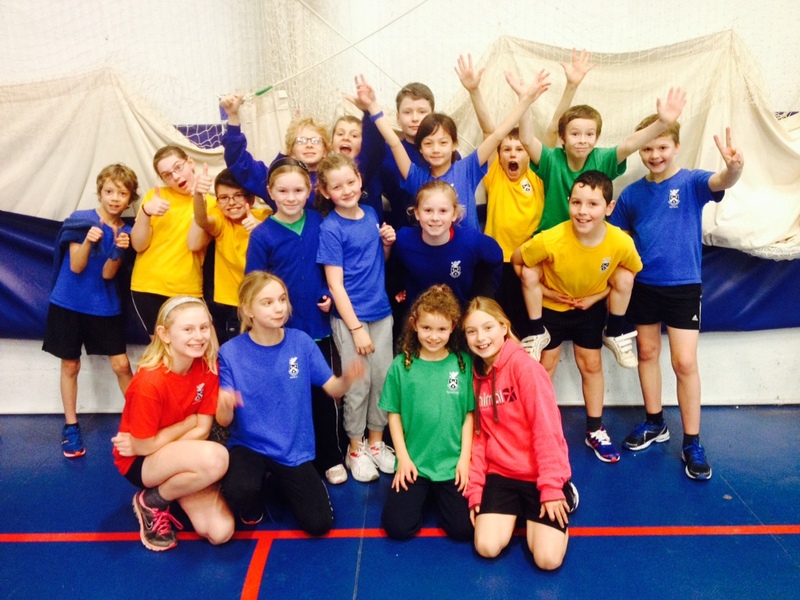 Yesterday afternoon 14 players of our LKS2 enthusiasts entered the Netball Festival at Truro Prep School. After a fun-filled warm up (meeting new friends and getting a little dizzy) we played a total of 9 matches. The grand finale was a match on the large court, before retiring to a welcomed surprise of…biscuits and squash! Thank you Truro Prep for having us; to Mrs Joslin and Mr Wallis for driving the minibus; to Miss Mitchell, Miss Robinson and Mr Armstrong for coaching us; and to ALL THE PARENTS who CHEERED US ALONG! This entry was posted in Class 6, Class 7, Class 8, Events, Sport, Uncategorized and tagged events, LKS2, Netball on February 7, 2014 by bosvigo.